I love a good face mask, I try to do one at least once a week to help keep my face feeling refreshed, healthy and radiant. I currently have three masks in my rotation, they are from Amphora Aromatics*, who have just realised a new range called Ooharr*. 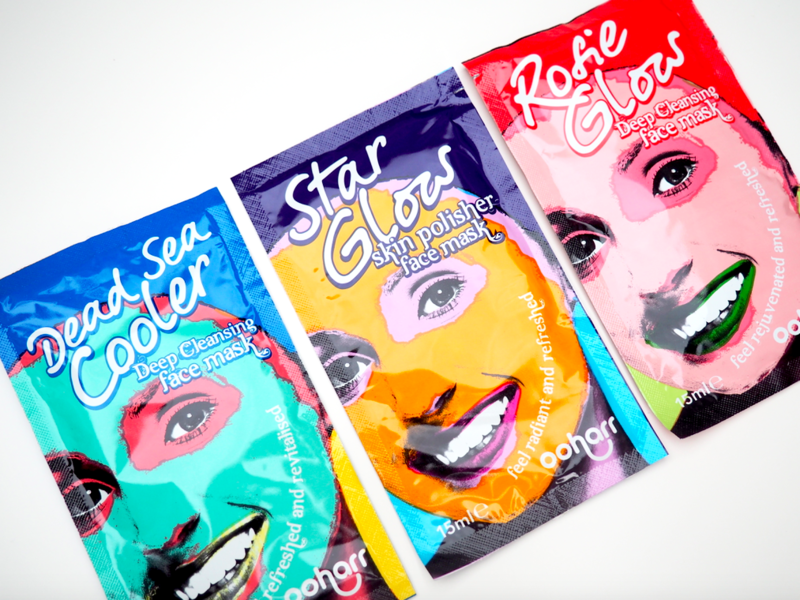 They have three different masks in this range, Dead Sea Cooler*, Star Glow* and Rosie Glow*. These all retail at £1.20 per sachet, which I think is such a good value because I have managed to get a good 2-3 uses out of one packet. With ingredients such as Peppermint, Teatree and Witch Hazel, this mask was designed to clear and brighten the skin. With added Dead Sea Salts to open pores, detoxify the skin which helps draw out impurities. This mask also has Bamboo powder which helps to exfoliate and refresh the skin, while the Almond and Argan Oil is used to moisturise and protect. This mask made my skin feel soft, supple and clean. I also saw a different with the brightness of my skin, it had a radiant glow which I’m all for. The all natural ingredients cleanse and revitalise the skin, this leaves it soft, smooth and radiant. This one smells the best in my opinion, I love the sweet vanilla and honey which help to moisturise and condition the skin, these ingredients work with the Almond and Argan oil. Star Glow has Aloe Vera in it to help cool and calm the skin. This one also detoxifies and draws out any impurities. After applying the mask and leaving it on for 15-20 mins, rise the skin with cool water to close the pores. Rosie Glow was my favourite out of the three, the rose allows for a deep cleanse. This mask nourishes and balances the skin. The Marula Oil helps to protect the skin and the Palmarosa oil repairs damage skin. Again the dead sea salts and natural clay help detoxify and draw out impurities from blocked pores. All of the masks left my skin feels radiant, cleansed and soft. Have you tried any products from Amphora Aromatics? Or the Ooharr range?